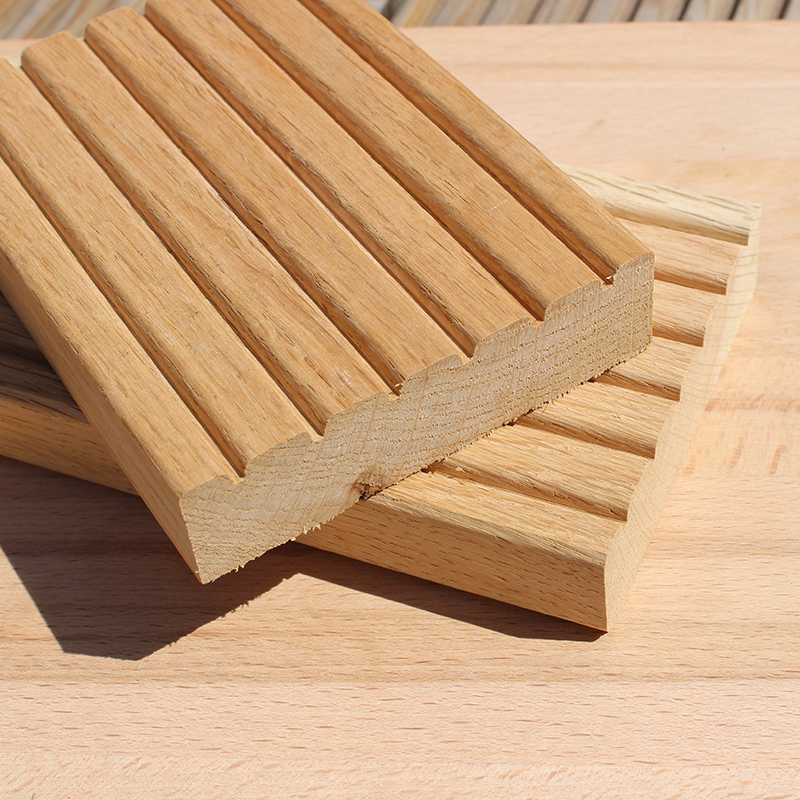 Wooden decking is an excellent way of creating an outdoor room in your garden. 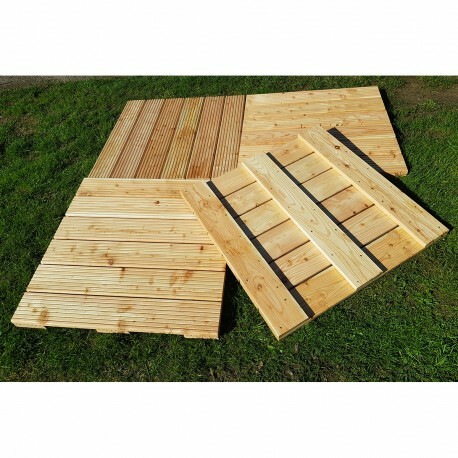 Decking looks much nicer than manmade alternatives, like paving or concrete, and it’ll feel nicer under foot too on those balmy barbeque evenings. 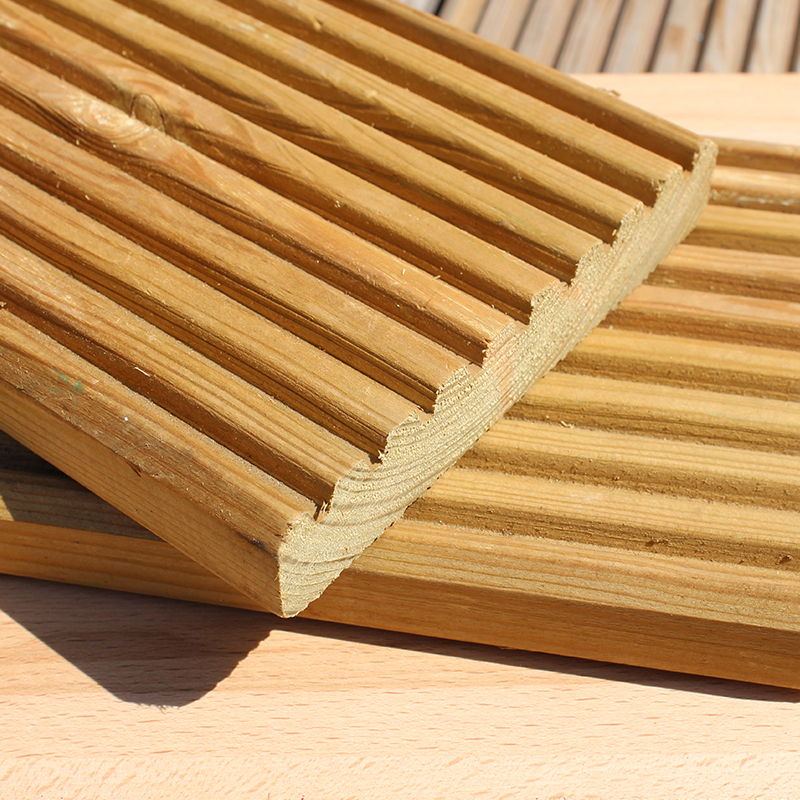 As well as looking great, decking boards are hardwearing and easy to maintain. 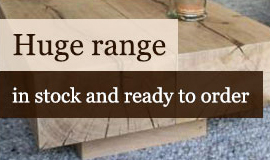 They are made from pine, larch, cedar, oak and tropical hardwood – each wood has a different appearance and they are cut into different styles. 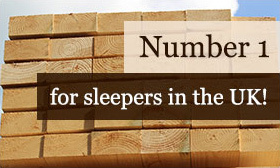 If you would like any advice on which to choose our staff will be happy to help and we can send you a sample/s. 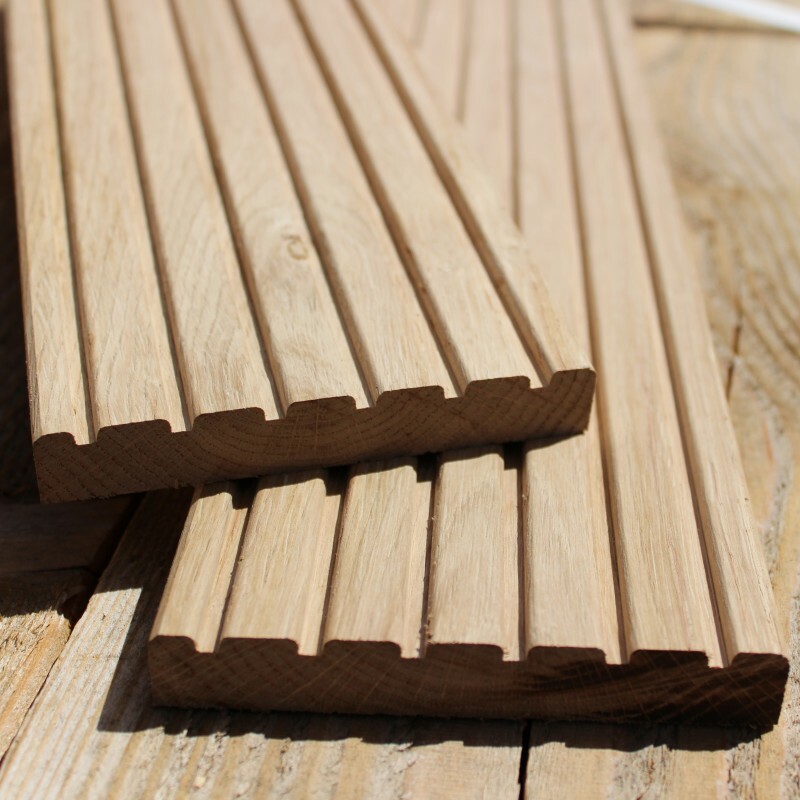 They can also advise on how to look after your decking, with cleaning and re-staining it will remain in perfect condition for many years. 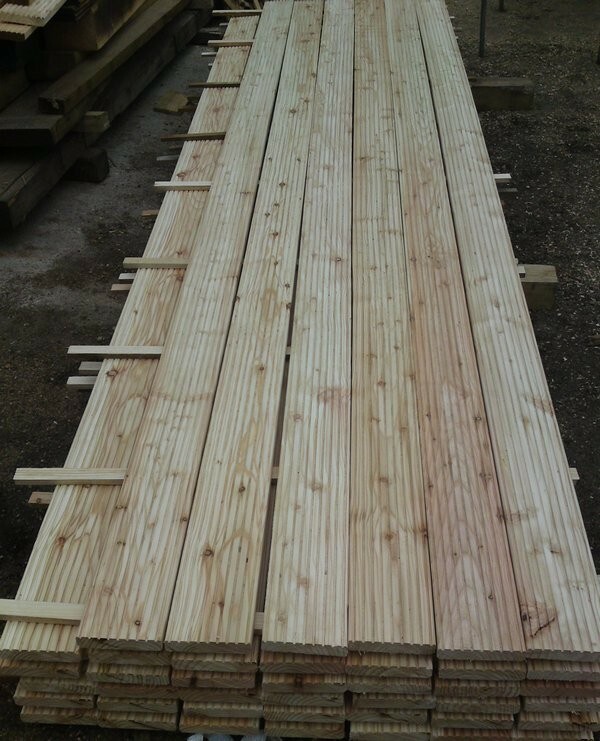 All of our decking boards are sourced from responsibly cropped trees and are FSC (Forest Stewardship Council) and PEFC (Programme for the Endorsement of Forest Certification) accredited. 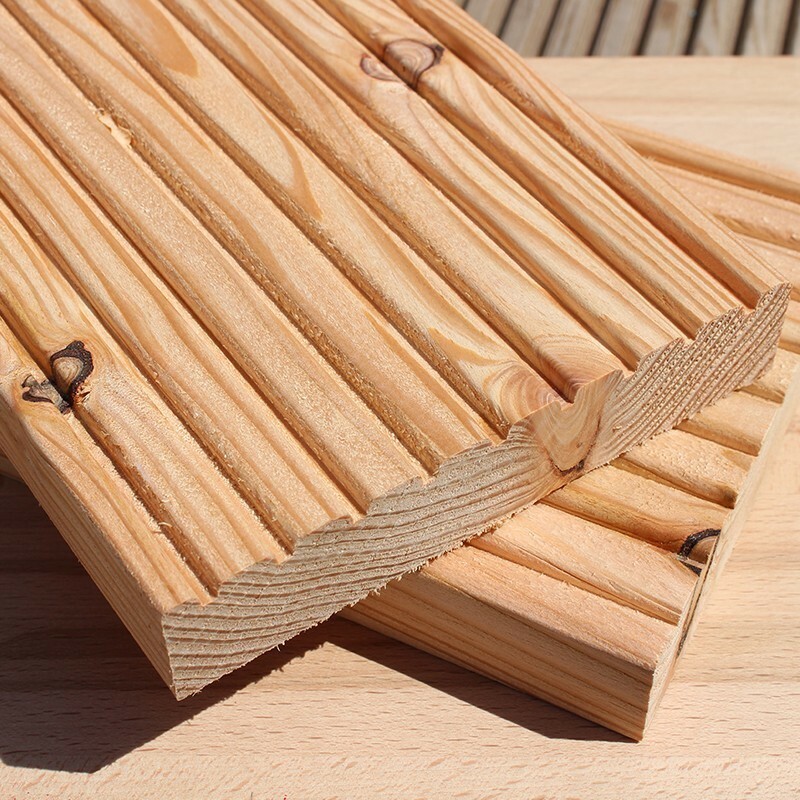 We self-mill the wood for our decking boards, as well as making a complete range of decking accessories and joists, so you can buy everything you need to transform your garden. 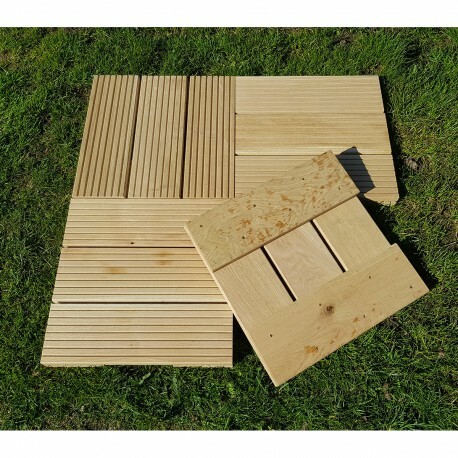 We are proud to ‘price-match’ on all of our products, so if you see the same decking boards at a cheaper price anywhere else in the UK please let us know at the time of ordering and we’ll do our best to match it. 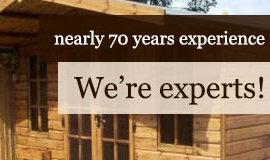 We often have ‘Special Offers’ too to ensure you the best price possible. 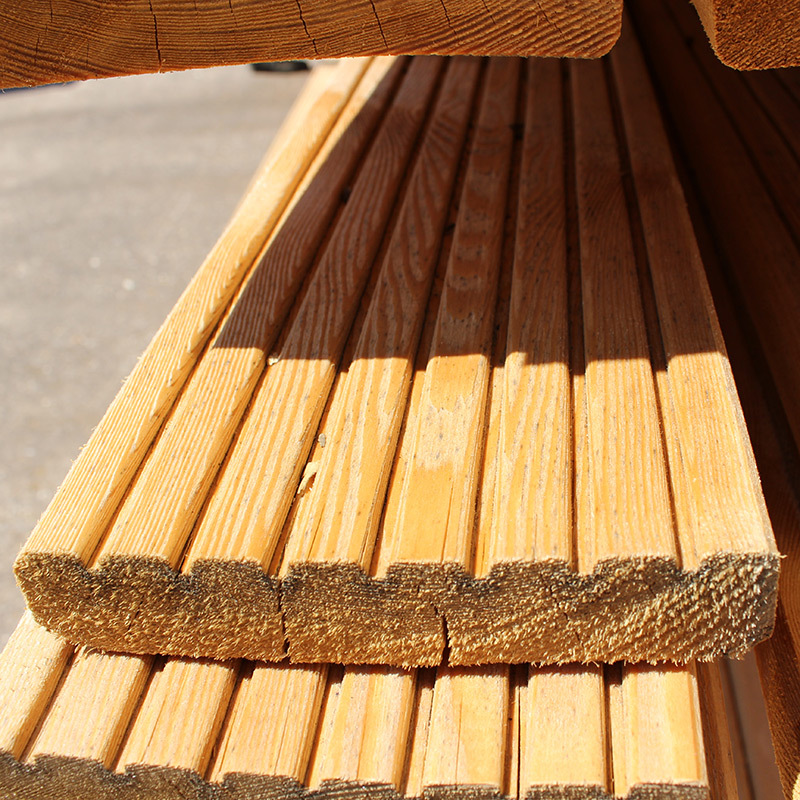 Once you’ve placed your order our specialist lorries will safely deliver your decking to you anywhere in UK, if you live within 40 miles of our East Midlands depots delivery is free.